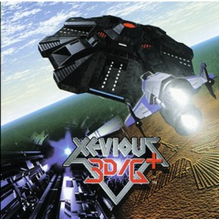 XEVIOUS 3D/G+ was delisted from the PlayStation Store for PlayStation 3, PlayStation Portable, and Vita no earlier than March 29th, 2019. This is the latest date that a Google Cache archive shows the game available alongside at least two other Namco titles. It is also likely that Mr. Driller: Drill Till You Drop on the Nintendo eShop was delisted on or near this same date. All four related titles were submitted to the site by an anonymous source within a day of each other. The reason for the delistings is uncertain. On the PlayStation Store, several “PSOne Classics” are alternately published by Namco themselves and Sony Interactive Entertainment. XEVIOUS 3D/G+, Mr. Driller, and Cyber Sled were each published by Sony on the Store. Meanwhile, other “PSOne Classics” from Namco remain available as published by Sony. This was not an all-inclusive removal of Namco’s older titles from the PlayStation Store.